Alcoholism is a serious chronic disease associated with the violation of enzyme, neurochemical and psychological mechanisms of alcohol consumption. Simply put, there are people who are indifferent to alcohol, who can control alcohol consumption. And there are people who can’t. Such people once have got the feeling of the effects of alcohol tend to reinforce them. They lose control over their behavior by bringing themselves to a state of severe intoxication in which they commit the acts that would never have done in a sober state. There is a very important moment in a problem of alcoholism. Any alcoholic stubbornly denies the problem with alcohol. Any of them doesn’t want to accept the obvious facts often defending himself by saying the trivial things like: I’m not an alcoholic because I drink less than my neighbor, who is an alcoholic, or I’m not an alcoholic, because I don’t drink strong alcohol drinks, just beer, or because I have a job and able to work and etc. However, all these sayings are pure subterfuges and manipulations. • Loss of control over alcohol consumption, inappropriate behavior in a state of alcohol intoxication, aggression, amnesia. • Pathological psychological attraction to alcohol. Without alcohol the person doesn’t feel comfortable. There is always a feeling of missing something. And an alcoholic is always ready to find any reason to justify alcohol consumption. • Physical need for alcohol. After some period of time of regular use of alcohol the physiological processes in a body get rebuilt the way that only under the influence of alcohol a person can function adequately. And as soon as the concentration of alcohol in a body drops the nasty symptoms of withdrawal come out. • Changes in personality. Alcoholism inevitably leads a person to loss of former interests, destroys family relationships. Alcohol addicted people become selfish, short-tempered, manipulative, intolerant, and double-faced. • Detrimental impact of alcohol on physical condition. Toxic effects of alcohol are shown on nervous and cardiovascular systems, on toxic liver failure, seizures, neuropathy, dementia. 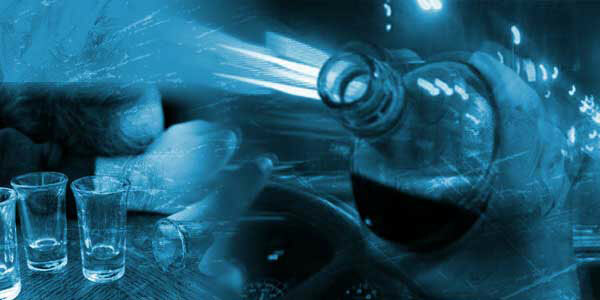 Injuries or even death from all kind of accidents under alcohol influence are common. 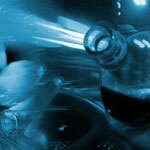 In medical definition of alcoholism the phrase “continued use of alcohol despite adverse consequences» is mentioned. It means that when the pathological need for alcohol is formed no entreaties, threats or controls can stop an alcoholic from drinking. Only treatment which destroys the core of disease, the pathological attraction to alcohol can bring the result.